We are looking for Chinese teachers and enrichment teachers. If you are or you know someone is interested, please submit the resume to yicai@sdhxcs.org. We are recruiting the dragon dance team for a 5-min performance at the Asian Culture Festival in Mira Mesa on May 4th(Saturday) at 1:00 pm and for a performance at Ashley Falls Elementary School International Night on May 10th (Friday) at 6:30 pm. 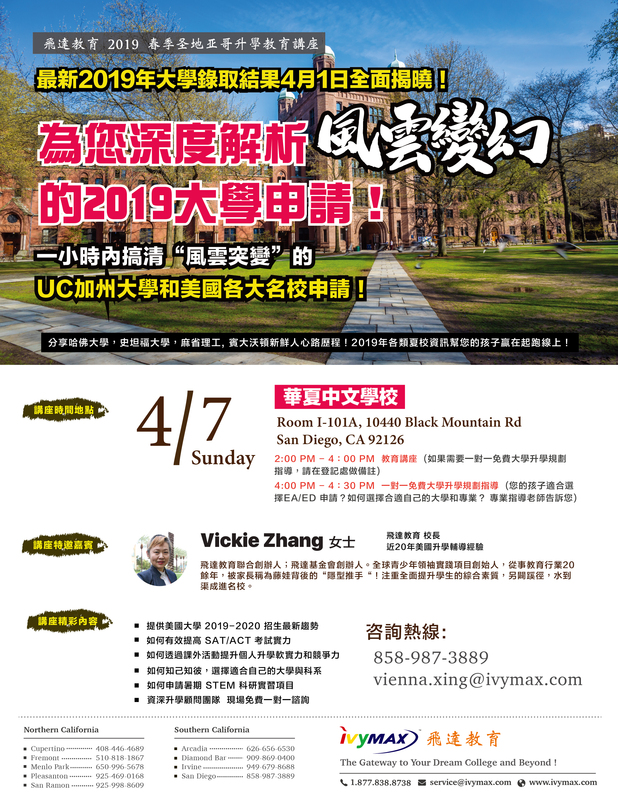 If you are interested to join the dragon team or have any idea for the booth at the Asian Culture Festival, we would love to have you, please contact us today at tzhang@sdhxcs.org or yicai@sdhxcs.org.